Helsinki City Trail in mid-October is the biggest trail running event in Helsinki and the second largest in Finland after Bodom Trail in May. 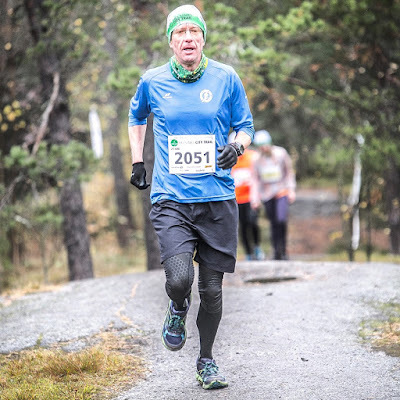 Both are 21km races with a couple of shorter distance options. 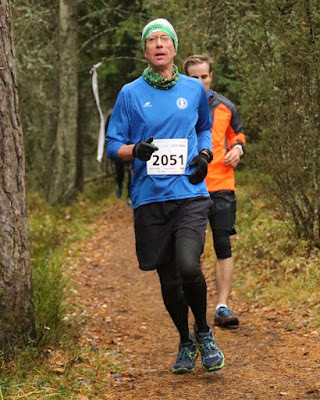 21km course in starts at Paloheinä hill and climbs it again after a 10K loop in the Northern woods. 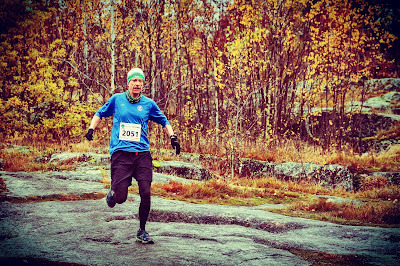 Then it heads South to Laakso, where the finish area is. I'm not generally too fond of point-to-point courses, but in this case it wasn't a problem for me. I could easily reach both the start and finish by bus in just a few minutes away from my home. HCT is entirely in the Central Park, which is a wild forest area within the city. There are small undulating hills and the total elevation gain is only 370m. The trails are mostly quite runnable, but there are some rocks and roots, and a few surprises. 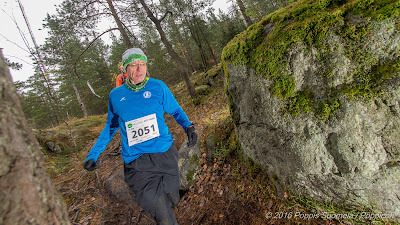 This time around the weather was cloudy 4-5°C drizzle, but it was only slightly damp - not muddy or slippery really. My main goal for the race was to have fun and finish without re-twisting my left ankle. I enjoyed the run very much and finished in 2:14. 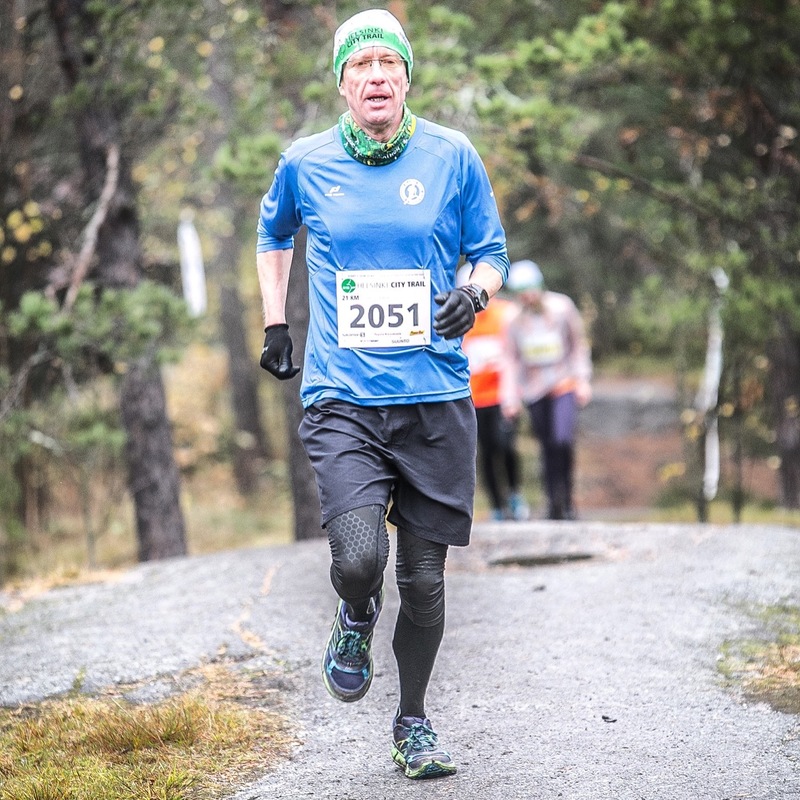 This was my shortest race since a half-marathon in 2010. 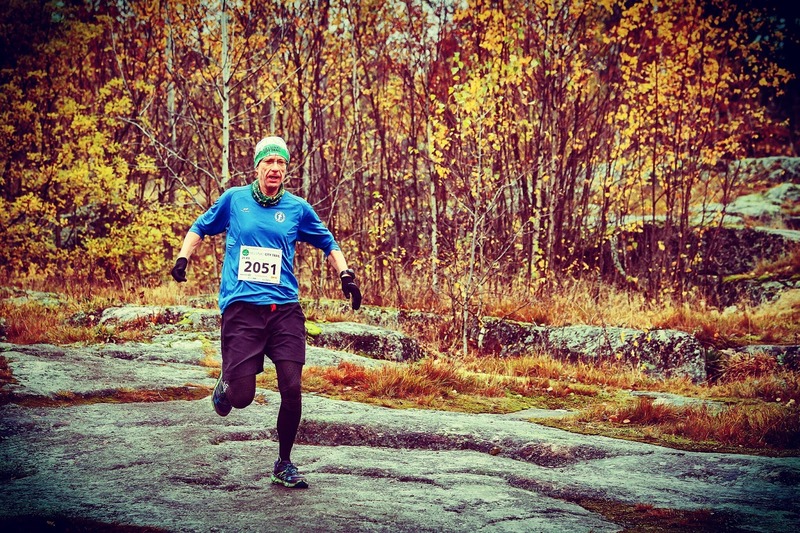 Trailrunning is slower, but I don't miss those fast road races at all. Times have changed. 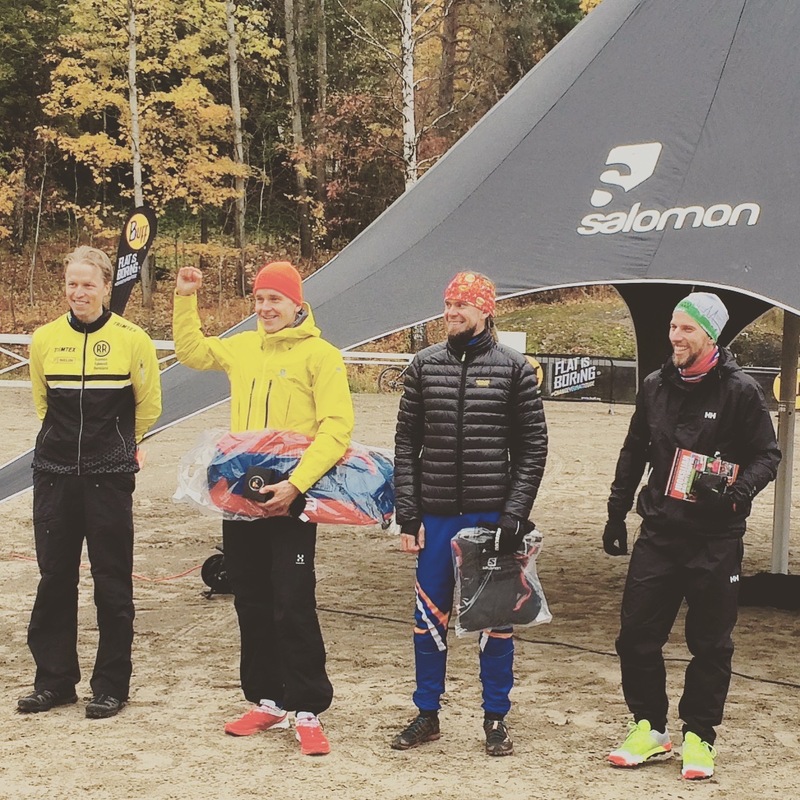 The fastest 21km runners on the podium. The winner Henri Ansio with his hand up ran 1:21. 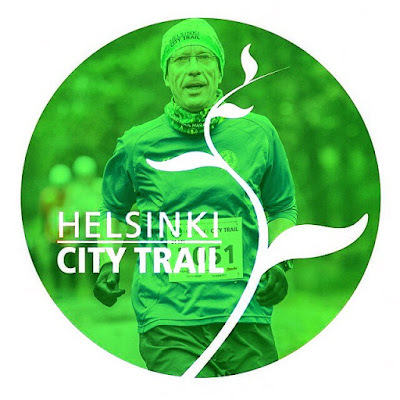 Helsinki City Trail is organised by Classic Trails Finland. The same non-profit association is behind Nuuksio Classic Trail Marathon in September. They do a really good job. Also the volunteers are great. These guys are the best, but don't take my word for it - please participate yourself next year!